Drift diving: the essentials & the best dives! Did you ever wonder what it would feel like to fly underwater? Divers that describe their drift diving experience often say it’s like gliding underwater. It sure sounds like an interesting type of diving to try! This post will answer a few critical questions when it comes to drift diving. Who can drift dive? Where in the world are the best drift dives? Do you need any specific equipment to drift dive? Let’s dive right in, learn about the essentials of drift diving and find out some of the best drift diving destinations. Drift diving is a type of scuba diving technique that lets you float along the underwater current. The diver is then powered by the current and not so much by fin kicks. Thus, this type of dive is more relax and doesn’t require so much effort. What it does require though, is proper knowledge and skills. Thus, the diver needs to be in control of its buoyancy and have proper equipment. Plus, when drift diving you barely have any plan, so you follow nature’s way. A certified diver of any level can learn to drift dive. Indeed, the international agencies such as SSI and PADI offers specialization course to learn safe drift diving practices. That being said, lots of the best drift diving sites in the world require the diver to have previous experience in order to proceed safely. Our best tip on this is to always read diving site reviews online and get reliable information from the dive center you’ll go with. What gear does the drift diver needs? The drift diver will need all the same equipment that is required for regular dives, plus a few extras! Indeed, the main thing is to have gloves and a hook. Knowing that you’re going nature’s way and that even the fittest diver can’t beat most marine currents… if you need to stop, well you need the tools to help you do so. 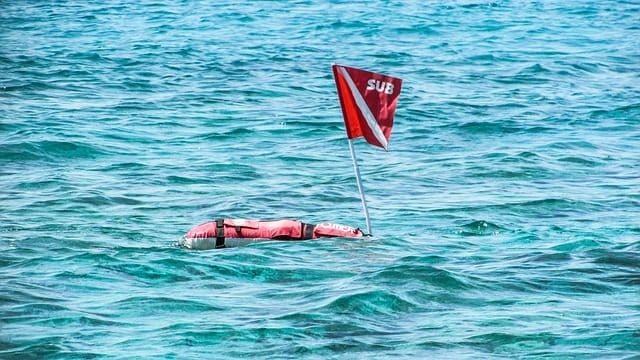 The other thing that is mandatory when drift diving is a surface marker buoy. Indeed, as the current sweeps you away, it’s important that yours and other boats know that you are down there and where. Plus, a whistle can be a great help if you surface on choppy seas and need immediate attention. Just like in all sports, and especially outdoor and underwater sports, there are always risks. Thus, we can’t say there’s no hazard in drift diving, nor in regular diving. What we do say is that you should make sure that you have appropriate diving skills to drift dive and that you are well guided. In fact, if you follow the instructions given by a dive center that knows the site and usual conditions, you’ll be alright! Plus, have the tools mentioned above, so if anything should happen, you can surface safely and get back on the boat! Well done, drift diving is a safe and exhilarating experience that every diver should try! Now, let’s discover the best drift diving destinations in the world! The most important thing when drift diving, as we mentioned above, is to do so on a known diving site. Thus, go with a dive center that has mapped drift diving sites and knows the exits points along the way. As a diver, you job will be to listen carefully when the dive is presented and to follow the directions during the dive. You will need to observe a lot around you and make sure you stick with the group. Plus, most drift dives are done along a wall, a reef or a wreck for example, so you will have reference points along the way. Micronesia | Drift diving in Micronesia is centered on Palau and is mostly recommended for experienced drift divers. Of course, this is a far away destination, and the underwater conditions can be tough, but the marine flora and fauna you’ll pass by is worth it! 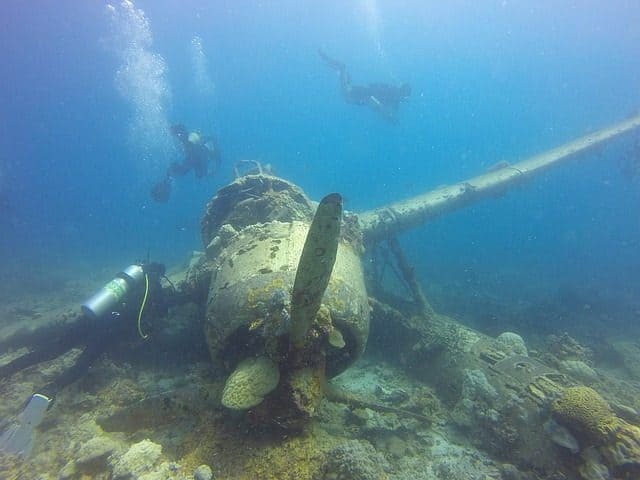 Channels, colorful reefs and wrecks full of history are to be expected when drift diving in Micronesia. Maldives | The paradise-like islands of the Maldives are not just for honeymooners! In fact, this world-renowned travel and diving destination boasts some incredible drift diving opportunities. Plus, the best is that the country has a massive choice of liveaboard cruises that tour the islands. Take a diving cruise in the Maldives and head for a northern itinerary to drift dive the Noonu Atoll. You’ll be passing by grey reef sharks, eagle rays, and much more! Also, the Ari atoll offers many drift diving site and is visited by both luxury and budget liveaboard cruises of the Maldives. French Polynesia | The video below depicts a drift dive on the Tiputa Pass, in Rangiroa, French Polynesia. Watch! This video is better than any description we could write! Plus, you can always read Julien’s adventures on the Tiputa pass. Do you have a specific “best drift diving site” in mind? Let us know about it in the comment section below!